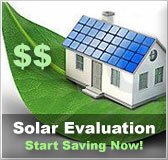 Ohio residential solar energy incentives | Solar Panels | Solar Power | Site Map | Bookmark This Site! -This loan program offers residents in Hamilton County the option to borrow money to make energy efficiency improvements to their homes. -Loans have a 3% interest rate and a five year payback period. -Loan amounts vary but will not exceed $50,000. 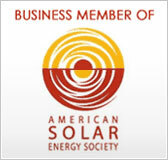 -This rebate program offers rebates to home owners who purchase and install solar water heating systems. -Rebate amounts are $30 per kBtu/day. This is calculated based upon the amount of projected energy output shown by the solar collectors. -The maximum incentive amount is $2,400 per applicant. -Funding for this program is provided by The Sierra Club. -This is a 100% property tax abatement provided for LEED certified residential and commercial buildings. -There is a maximum improved market value of $500,000 for residential buildings unless the building is LEED platinum certified, in which case there is no limitation. -This is property tax financing for property owners who wish to borrow money to pay for energy improvements. -This financing offers a low interest, 25 year loan. -The loans are repaid through an increased property tax assessment over a period of years. -These grants are offered by the Ohio Energy Office to customers of participating utilities who install grid tied solar photovoltaic systems with an output of at least 2 kilowatts. -The incentive is $3.00/watt capacity of the installed system. The maximum incentive is $25,000. -The system must be installed and must pass a final inspection review before the grant funds are disbursed. -Ohio has a few different rebate programs provided by provided by municipal cities and utility companies. 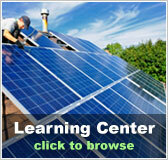 -Most of the rebate programs are for geothermal heat pumps and water heaters. 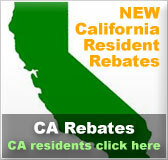 -Rebates are given as a one time set amount for the total cost. Rebate amounts vary. -Net metering is available to residents of Ohio who have facilities that generate electricity through solar, wind, methane, biomass, hydropower or geothermal systems. - Systems must be intended primarily to offset all or part of a customer's electricity requirements and have the capability to record the flow of electricity in each direction. -The power produced by the renewable energy system is used to offset the kilowatt hours consumed each month. -At the end of a 12 month period, customers may request refunds of their accumulated net excess generation.